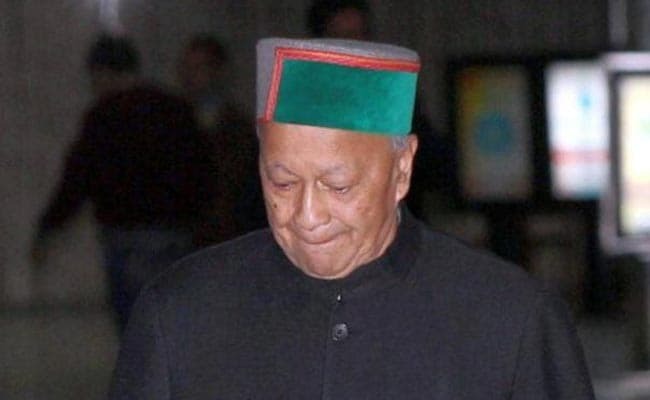 A Delhi court today said former Himachal Pradesh chief minister Virbhadra Singh intended to cause loss to the tax authorities by presenting unaccounted money as sale proceeds of apples. A Delhi court today ordered framing of charges against former Himachal Pradesh chief minister Virbhadra Singh for alleged criminal misconduct and amassing disproportionate assets of over Rs 10 crore, saying he intended to cause loss to the tax authorities by presenting unaccounted money as sale proceeds of apples. Apart from the two offences under the Prevention of Corruption (PC) Act, Special CBI Judge Arun Bhardwaj said that prima facie charges of alleged forgery and attempt to cheat under the IPC were also made out against the 82-year-old Congress leader and former Union minister. The court also ordered framing of charges against his wife, Pratibha Singh, and seven others for allegedly abetting in the offences and listed the matter for January 7 when all of them will have to inform the judge whether they plead guilty to the charges or not. After formal framing of charges, the court will commence trial in the case. The court in its 105 page order said that Virbhadra Singh and Anand Chauhan "fraudulently and dishonestly" signed a memorandum of understanding (MoU) by ante-dating it to give an impression that it was signed on June 15, 2008 by them. "They knew that MoU was not made, signed or executed by them on June 15, 2008. They prepared and signed this MoU with the intention of causing it to be believed that this MoU was made by them on June 15, 2008... The investigation of CBI has shown that this MoU was ante-dated. Therefore, they can be said to have made a false document," the court said. It added that since the document was made for showing unaccounted money as sale proceeds of apples, they were liable to be charged for the offence of forgery. "Since an attempt was also made to cheat the Income Tax authorities using a false document i.e. ante-dated MoU to procure favourable Income Tax assessment order, Virbhadra Singh is also liable to be charged under section 511 (attempt) of IPC read with section 420 (cheating) of IPC," the court said. On the role of his wife, the court said there was "grave suspicion" that she committed the offence of abetment under the IPC. Dealing with the argument, the court said the Delhi High Court in October this year had held that for registration of case in a state other than in a Union Territory, the consent of that state government was required. "No consent is required for investigation in another State, if the case is registered in Delhi," the special court said referring to the high court decision.